I read this article and found it very interesting, thought it might be something for you. 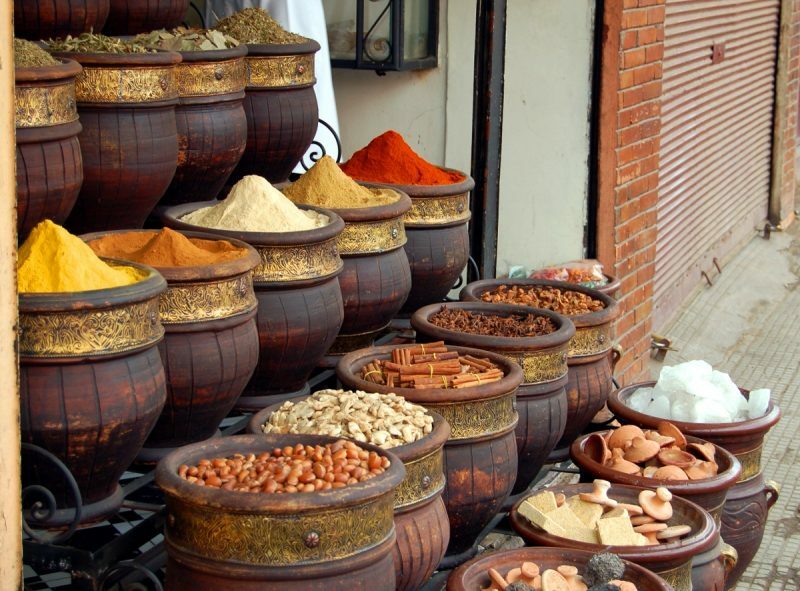 The article is called 15 Places to Shop in Marrakech and is located at http://trip-n-travel.com/listicle/21740/. Marrakech has long been one of the most popular shopping destination in Morocco. It’s especially famous for the fabric. So there are a lot of people selling clothes, scarfs, and even carpets. Here are 15 places to go shopping crazy in Marrakech. Don’t forget to bring extra cash! 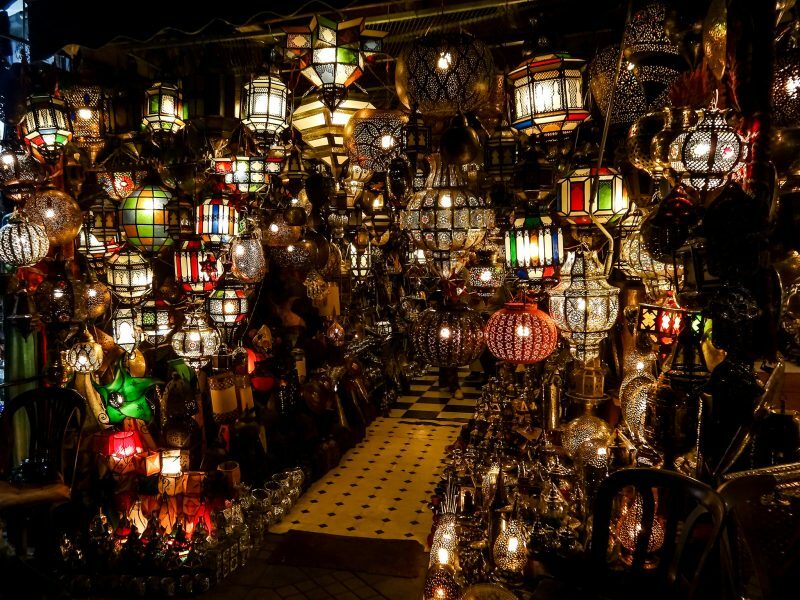 It’s well-known flea & street market in Marrakech, located in Jemaa el Fna area. There are people selling bags, clothes, scarfs, souvenirs, even Morrocan spices. Marrakech Souk might be touristy but still, it’s an exotic place to go. And there are just so many beautiful things, you’ll find it hard to resist the temptation to shop some. Just don’t be too shy to bargain. Jemaa el Fna is a busy 24 hours market at the Square of Marrakech. After 9 pm at night, it just gets even busier. There are a lot of food and juice stalls. There are also musicians, belly dancers, and henna artist. It’s pretty crowded and you’ve got to experience a lot of things at once. It’s a fun place to go at night. If you’re looking for a gift or souvenir, this is where you’ll find a lot of them. 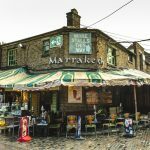 The shop itself is somehow hidden behind a simple wooden door. Most people won’t notice it’s existence. 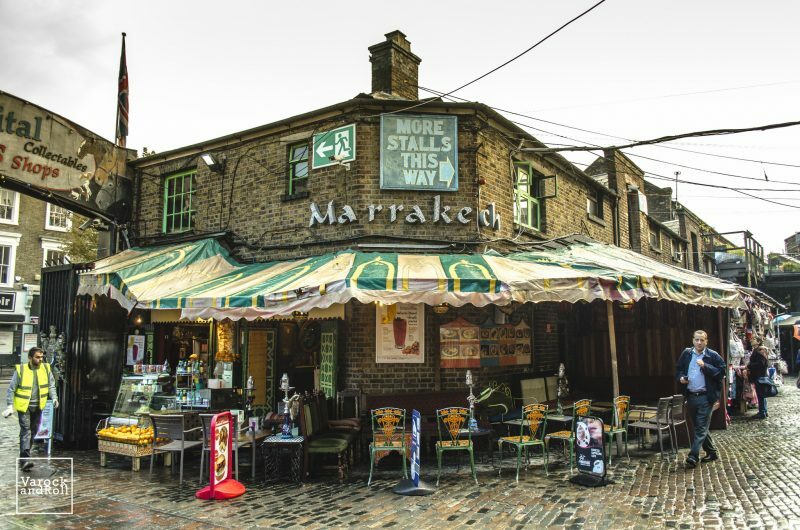 But once you make your way in, you’ll find that they sell mostly antiques, like rugs, pottery, furniture, lamps. People say it feels like being in Alladin’s cave. They offer a fair and reasonable price, compared to the Souks, so you won’t have to bargain half price. KifKif is a small shop in Marrakech. They mostly sell clothes and accessories. And all of their products are said to be handmade by locals. They even have their own designer! If you love artisan handcraft, you’ll love KifKif as much as we do. If you’re into perfumes and herbal oil, this is the right place for you. Aromatimri in 27 Rue des Banques Kennaria, Marrakech sells herbs oil, including the famous argan oil, perfumes, and many other beauty products. The owner extracted the oil and perfume himself from natural products. And here, you can ask for tea too! 33 Rue Majorelle is a store selling chic and stylish modern-traditional souvenirs. The store is said to be filled with items you won’t find elsewhere. That’s why people love 33 Rue Majorelle so much. You can also find nice leather bags here. Everything you’re looking for in the city is sold here. It’s an indoor air-con complex. And better yet, you don’t have to bargain and yet you know that you are paying for a fixed fair price. If you like to shop in comfort, this is the perfect place for you. What about some handmade metal crafts to bring back home? Here at Kasbah Artisanat you can have a personalized keyring or lucky charm with your name engraved. The owner Youssef will do it himself in front of you. He’s a very passionate skillful craftsman and yet he offers you a reasonable price. Aside from the clothes and accessories shopping, you can also spot some stalls selling spices around the city, a lot of them. One place to buy it is at Rahba Kedima Square. People usually call it Place des Epices or the Spice Square. 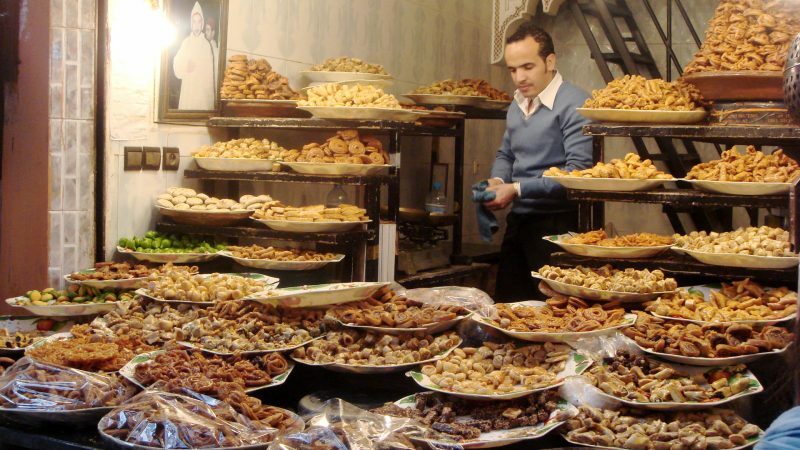 It’s a small open space area around the souks and yet you can still feel the strong smell of the spices. It’s bursting in the air. If you’re looking for a good quality of lamp, here’s the place to go. Here in Place des Ferblantiers, you can find lamps, silverware, fabrics and even restaurants. It’s relatively smaller in size compared to the souks, but it’s easier to navigate so chances are, you won’t get lost. It’s less crowded too. What about some food now? There’s this market called Food Markets of Marrakech at Avenue Haumann el Fetouaki where you can find a lot of stalls selling food and drink. There are some stalls offering you sample food. It’s an interesting food market to visit at night. And yes, the smell of the spices is overwhelming. And it gets a bit noisy sometimes. But it doesn’t matter as long as you enjoy your food. Here at Souk Cherifia, you can find a lof of clothing stuff made by the local designer. It’s like Moroccan style clothing but with a modern twist on each one. After you’re done with the shopping, head to the 3rd level and get yourself a pot of mint tea. It’s very refreshing. And even better, you can have your dinner here as well. Carré Eden is a shopping center at the heart of Gueliz in Marrakech. There might not be a lot of brands but this shopping center is way better than the other two in town. It’s one of those places you want to visit when you can’t beat the summer heat. It’s always nice to go somewhere with air-con, right? After that long shopping time around the city, why not treat yourself with a nice massage oil? You can find some nice one at Les Sens de Marrakech. They sell not massage oil, but also other beauty products like soap, shower gel, face cream, and perfumes. You’ll find it relaxing here. One of the most popular item to buy here in Marrakech is this beach basket. 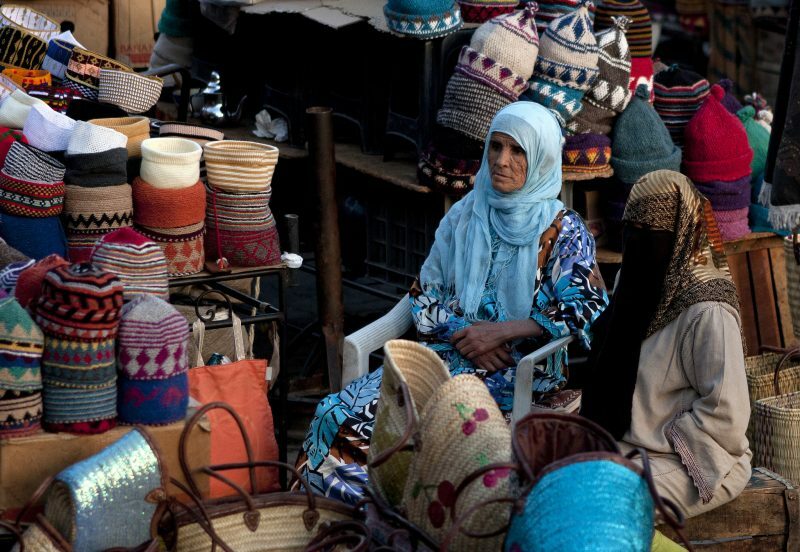 Although you can find it elsewhere, people love to purchase it from Panier Marrakech. They do have an online shop too, so if you don’t feel like going to the store yourself, you can buy it online! How convenient is that? It’s true that Marrakech is a heaven for shopaholics. These are just a few of the shopping place available around the city. Why don’t you come and see it yourself?